LIMA — Derek Stemen, current executive director of the the American Red Cross of West Central Ohio, has been named the new president and CEO of the United Way of Greater Lima. 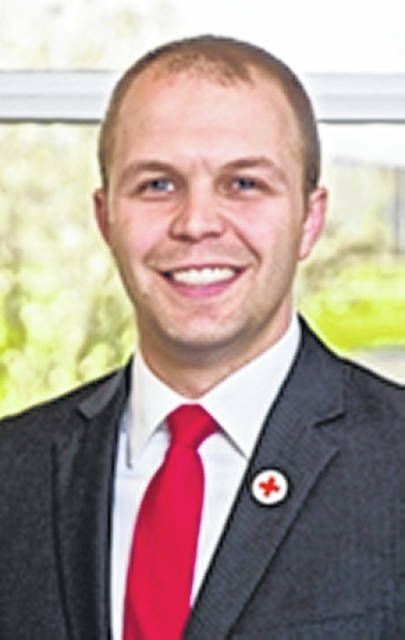 Stemen, a Lima-area native, will begin his new role May 6 and in the mean time will assist with the transition for the Red Cross. United Way is a partner agency with the Red Cross, providing funding to help with direct client assistance programs, so Stemen will still have the opportunity to continue his work with the Red Cross. Currently, Stemen is working with United Way board members and interim president Phil Hayne to set a schedule for the transition. Meanwhile, Stemen will continue to actively work with the Red Cross board of directors to find his replacement. Red Cross Board Chair Carl Berger said most of the decision-making on the new executive director will come from Columbus, where Stemen’s superiors reside. The Red Cross will likely start looking for a replacement at the end of April, but Berger said the Columbus office may appoint an interim director or have another staff member in mind to take over the role.